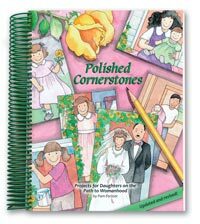 Polished Cornerstones grew to be such a large volume that we chose to print out all its suggested memory verses in a separate companion book. 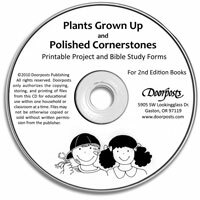 Verses are fully quoted in the King James Version. 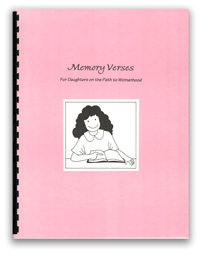 Use this book to make your selection of memory verses easier, or as a individual memory book for each daughter. 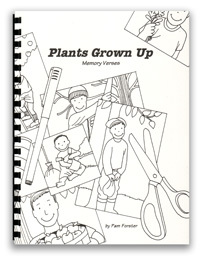 WOW, i cant believe all the AWSOME products you guys have for children. I am a mother of one daughter and a second child on the way and could not BE more impressed with your stuff than i am.